Uruguayan pianist Nibya Mariño (Montevideo 1920−2014) was an exponent of the golden age of piano playing. Her marvelous tone, her intuitive capacity to combine a lively pulse with a sure sense of rubato and expressivity, and her affinity with the great Romantic and post-Romantic repertoire of Chopin, Schumann, Liszt, Rachmaninoff, Albeniz, Balakirev, and Scriabin, put her squarely in the company of such twentieth-century piano giants such as Arrau, Bolet, Michelangeli, Lipatti, and Gilels. A child prodigy who played her first concert at the age of six, she was the student of Wilhelm Kolisher, a Polish pianist and close friend of Artur Rubinstein. It was Rubinstein who took her to Buenos Aires to make her debut playing Schumann’s A Minor Concerto at the Teatro Colón under Ernest Ansermet, when she was eleven years old. In 1995, when she was seventy-five years old, she ventured into a recording studio in Charleston, South Carolina, at the behest of pianist Enrique Graf, and the ensuing couple of Schumann CDs were a stunning revelation of Romantic pianism, hailed as “something special” by Harold C. Schonberg in the American Record Guide. 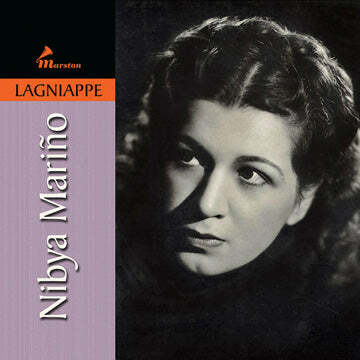 Nibya Mariño kept playing into her nineties, and her last appearance took place a few months before her death, in Montevideo, when she played Mozart’s Concerto in A Major, K. 488. On a personal note, I fully realized Nibya’s international fame and the esteem in which she was held when I started my studies at Indiana University’s School of Music in the mid 1960s. There, I had the pleasure of meeting Claudio Arrau, who was giving a recital, and then newly appointed faculty member Jorge Bolet. When they found out I was from Uruguay, they both asked the same question: “Whatever became of the great Nibya Mariño? Is she alive? Why on earth doesn’t she play anymore?” Later, when I myself became her friend, I learned of the great affection and boundless admiration Nibya had for both piano giants. In long conversations I had with her at her apartment in Montevideo in the last two years of her life, I heard Nibya speak of her friendship with Arrau in New York, with whom she used to attend other pianists’ concerts at Carnegie. One evening, as Mariño and Arrau sat down together and Horowitz started to play, Nibya felt Arrau elbowing her. After several nudges, and thinking Arrau was pointing out some perceived flaw in Horowitz’s playing, she whispered to Arrau to let her listen in peace, which Arrau did. Finally, after the concert, Nibya asked what that was all about and Arrau answered, “Well, I just wanted to bring to your attention that a few seats to my left, there was Frank Sinatra.” And Nibya, as big a fan of the handsome crooner as anybody of her generation, wanted to kill Arrau for not being more persistent in his effort to distract her. She was fond of reminiscing about her four years in Paris, and about her relationship with Cortot, whom she idolized, and who always called her “ma petite Nibya.” It was there that she developed a friendship with Dinu Lipatti, a couple of years her senior. Their friendship must have been close enough that one day, Dinu and her mother appeared at the apartment Nibya shared with her own mother, sat down to tea, and Mrs. Lipatti went on to debate the chances of matrimony between her son and the young Uruguayan talent. Nibya confessed to me that she wanted to die of embarrassment, and that she would never have had Dinu as a husband, anyway, so the world will never know what the union of two pianistic geniuses would have brought forth.